Today is Welsh Blood Day. Welsh Blood Day is a celebration of all the lives that have been saved by blood donation. Many people celebrate the day by becoming a donor and signing up to the Welsh Blood Service. By donating blood, people give hope to millions of others, who need it most, across Wales and the UK. Blood donation is a vital statistic in saving lives as it’s used in a wide spectrum across Wales. It’s not solely used for emergency operations or victims of terrible accidents, as many people think. Huge numbers of people wouldn’t have survived blood transfusions, such as a person undergoing a liver transplant or a kidney transplant, without blood donations; cancer and leukaemia patients wouldn’t have had prolonged lives or survived their illness without blood donations; patients having cardiac operations – such as heart disease – and babies who are born premature simply wouldn’t survive without the selfless act of giving blood. The Welsh Blood Service needs to collect over 400 donations of blood every single day and the demand has increased over the last 10 years because operations and medical techniques have become more and more sophisticated. The Welsh Blood Service, though, has made the act of blood donation easier and simpler than ever before. Improvements have been made, including flexible opening times to suit the ever-changing needs and lifestyles of prospective donors, reduced waiting times by offering donors the opportunity to book an appointment, but they also still preserve opportunities for donors who prefer to attend without booking an appointment. â€¢ When giving blood, make sure you have plenty to eat and drink. 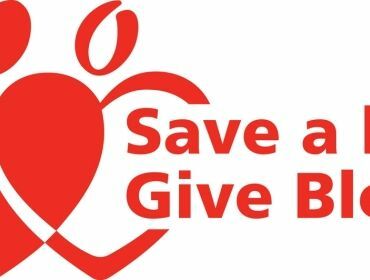 You should allow 1 hour of rest from eating and drinking before giving blood. â€¢ When you arrive at a blood donation clinic, you will be asked to fill in a Donor Health Questionnaire and to read some information about giving blood. You will then have a confidential discussion with a blood collection assistant about your general health and the answers you put on the questionnaire. â€¢ You will then have a small drop of blood taken from your fingertip. This is to ensure you’re not anaemic. Once all the checks have taken place, and you’re fit and well, you’ll be asked to give your donation. This part takes about 10 minutes. â€¢ After your blood has been taken, you’ll be asked to rest for a short while and have some light refreshments before you leave. 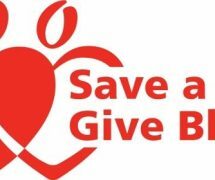 â€¢ After giving blood, it is highly recommended that you drink plenty of fluids, avoid alcohol and avoid any form of demanding activity for approximately 8 hours. If you want to play a part in helping save the lives of millions of people then text BLOOD plus your postcode to 61122 and the Welsh Blood Service will call you back with information about your closest donation centre, or you can click here to fill this form in and submit it to the Welsh Blood Service. If you have any concerns about giving blood, you can phone the Welsh Blood Service on 0800 25 22 66.